Dr. Sam Guarnieri has a special focus on airway dentistry. He has received advanced training in pediatric sleep apnea along with leading practitioners in the field of medicine and dentistry including sleep apnea doctors, ENT’s, pulmonologists, and cardiologists. Dr Sam’s knowledge and experience make the Pittsford Dental Excellence Center the most qualified to address sleep-breathing disorders. Sleep apnea is a breathing disorder that occurs when a person’s airway becomes either partially or completely blocked during sleep. These blockages rouse a person from sleep, causing the brain and body to receive inadequate amounts of oxygen. These blockages can occur as many as 30 times per hour, so imagine how impossible it is to have a good night sleep. What happens without proper sleep? Not getting enough quality sleep has significant adverse effects on overall physical and mental health. It makes a person feel fatigued throughout the day. It affects the ability to focus at work or in the classroom. A lack of sleep can also hinder the ability to concentrate or make a person more irritable. Loud snoring is considered one of the major warning signs of sleep apnea. If you snore loudly or have a family member that does, he or she may have sleep apnea. However, snoring is not the only symptom of this sleep-breathing disorder. If you have any of these behaviors, call our Pittsford, NY office today at (585) 371-7378 to schedule a consultation. These symptoms will not go away. Get your sleep apnea treated, and get your life back! 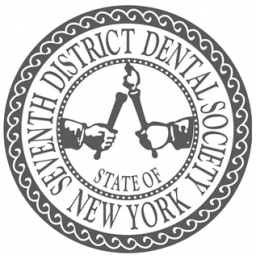 Pittsford Dental Excellence Center serves patients in Fairport, Pittsford, and Rochester, NY. When we sleep, our bodies are responsible for maintaining regular airflow during our resting periods. Sleep apnea occurs when the airway becomes partially or completely blocked during sleep, cutting off the supply of oxygen and disrupting the sleep cycle. Sleep apnea and sleep breathing issues affect millions of Americans every year, with many undiagnosed or avoiding treatment altogether. Why is sleep apnea bad? The Kois Center is the only continuing education program in the country that conducts and publishes independent research. Every course is updated each year based on new scientific evidence. This self-funded learning center does not accept sponsorship funding and is therefore not swayed by the agenda or message of sponsors. 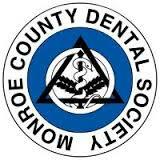 The Kois Center is responsible for creating a new dental standard. Dr. Guarnieri is a proud Kois member and clinical instructor.